Hamas TV claims soon-to-be-signed agreement includes prisoners swap. Goldin family: We haven't heard that. Hamas' Al-Quds TV channel reported that the ceasefire agreement between Israel and Hamas will include a section on prisoner swaps. According to the report Tuesday morning, the agreement will be decided within the coming hours. "These are crucial hours," the report emphasized. No official source has confirmed that the ceasefire agreement includes a prisoner swap. 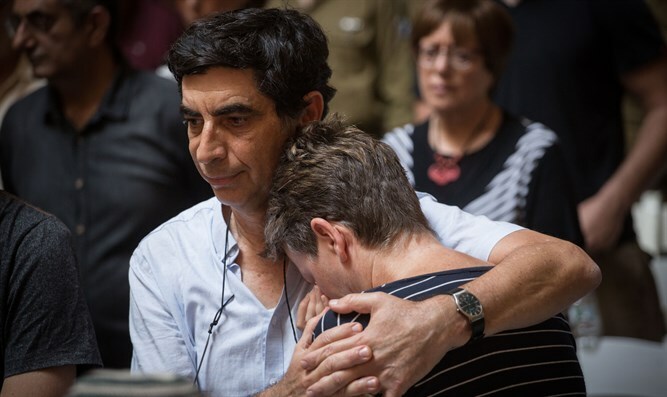 Professor Simcha Goldin, whose son Hadar's body is still being held by Hamas, said the family has not been informed of a prisoner swap, but that Israeli Prime Minister Binyamin Netanyahu promised to bring his son's body back as part of any agreement with Hamas. Leah Goldin, Hadar's mother, said "We're sick of hearing these stories and we're sick of nothing happening. They pretend, and then after some time they say that it didn't work out. I don't believe and don't know anything." Leah believes that the reports are an election scam. According to her, if the reports were true, someone would have informed the families. "They sell our soldiers for a bowl of soup," she said. "It's simple fraud."